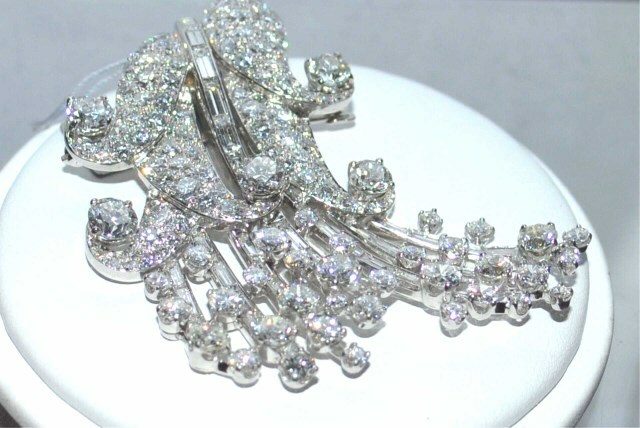 Bidders will be able buy a dazzling piece of jewelry for their sweetheart on Valentine’s Day and support a worthy cause at the same time when Gulfcoast Coin & Jewelry, LLC holds a Valentines for Veterans charity auction on Saturday, Feb. 11, online and in the firm’s gallery at 25355 South Tamiami Trail in Bonita Springs, Florida, just outside Fort Myers, on Florida’s Gulf Coast. The event will be co-sponsored by the Bonita Bay Veterans Council (BBVC), which provides help to area veterans and their families in need. A portion of the proceeds will be donated to the BBVC. 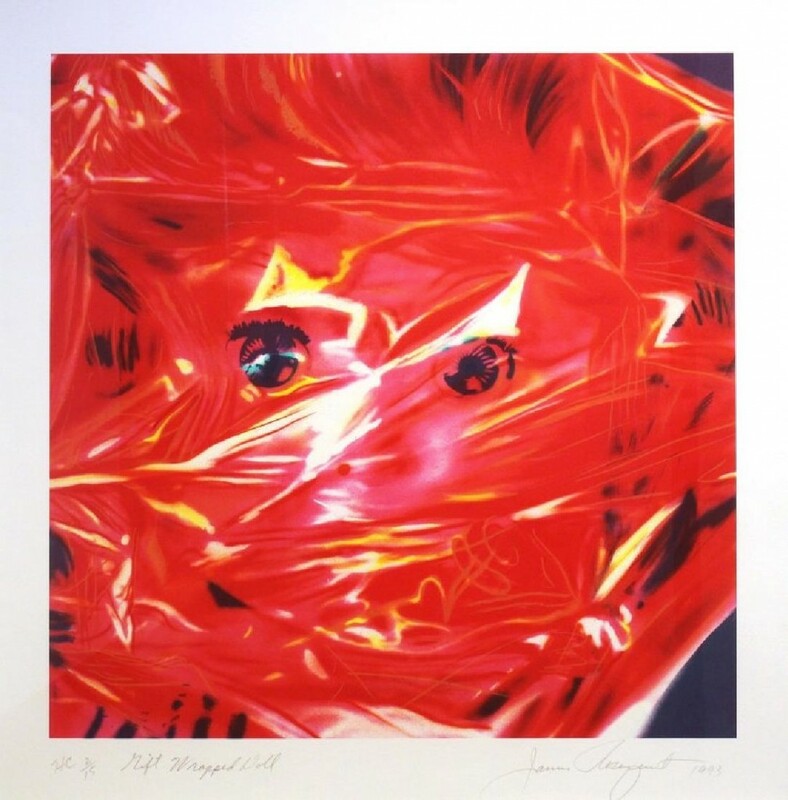 Three artworks by James Rosenquist (Am., b. 1933), including the one shown here titled Gift Wrapped Doll (1993, est. $2,500-$5,000) will be part of The Benefit Shop Foundation’s big Red Carpet Auction on Wednesday, February 8th, online and at the firm’s gallery in Mount Kisco, N.Y., beginning at 10 am Eastern time. Rosenquist is one of the protagonists of the pop-art movement and is a very hot commodity right now among art collectors and aficionados. Gift Wrapped Doll is a framed lithograph in colors. It is signed, titled, dated and numbered (19/24) in pencil. Fans of the Russian-French artist Marc Chagall (1887-1985) may want to mark their calendars for Wednesday, February 22, at 12 noon Eastern time. 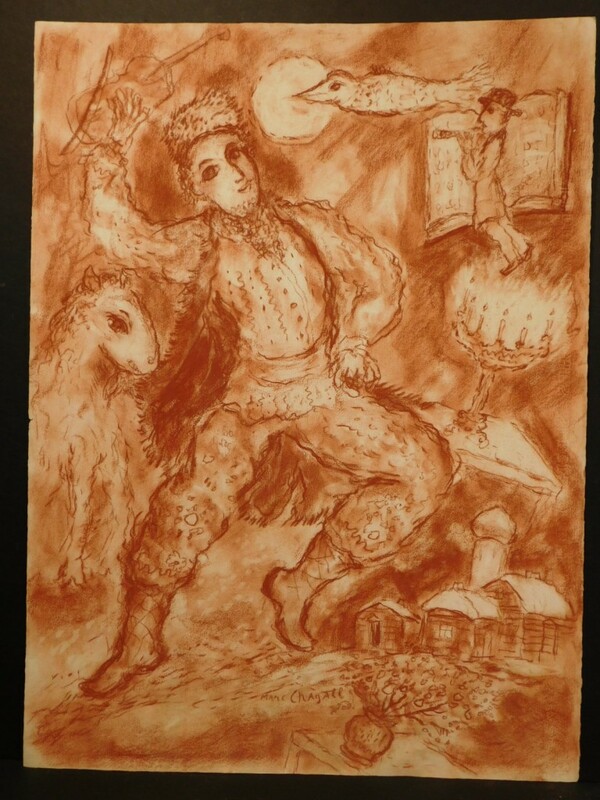 That’s when Woodshed Gallery will be offering a pair of original sanguine drawings by Chagall in a live and internet prints and drawings auction, in an online webcast from the firm’s gallery at 1243 Pond Street in Franklin, Mass. The sale will also feature numerous other important works by listed artists, plus a signed note from John F. Kennedy and a selection of proofs and publications from Leonard Baskin’s Gehenna Press. 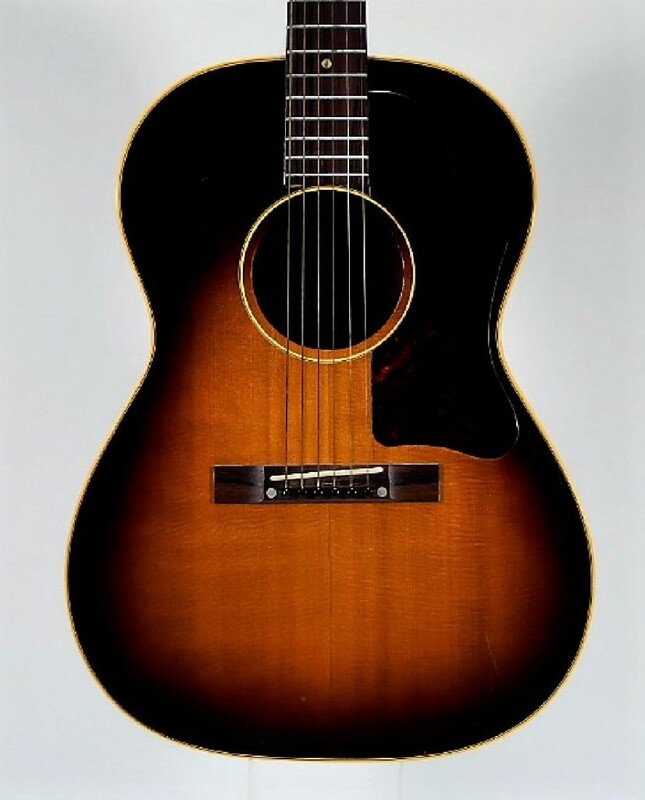 The lifetime musical instrument collection of Lawrence Clark, Jr.
On Saturday, Feb. 25th, Bruneau & Co. Auctioneers will offer the lifetime musical instrument collection of Lawrence David Clark, Jr., Esq. It’s a superb assemblage, packed with names like Gibson, Martin, Hofner, Stradivarius, Henri Selmer, C.G. Conn, Sho-Bud and others. Clark was a prominent Manhattan attorney and a multi-instrumentalist. He enjoyed a lifelong passion for the creation of music and the craftsmanship of musical instruments. His collection includes the acquisitions of a discerning collector and the cherished discoveries of an accomplished practitioner. Hess toy trucks have been popular with collectors for years, and there are three marvelous and rare examples in SeriousToyz’ Auction #58, a two-session internet-only sale that will conclude Feb. 23 (character toys and classic collectibles) and Feb. 24 (advertising collectibles and toy vehicles). The toy truck shown here is a miniature Hess first truck, made in China in 2000 with a special see-thru body, exclusively for the family of John Hess. It is one of only five known and has a direct provenance to a Hess executive, who gifted it to the consignor’s children years ago. Also in the sale are a Hess recreation van, made in China in 1998, a rare version of the Hess truck sold in stations that year but created with a chromed body, also exclusively for the family of John Hess; and a Hess Voyager, made in China in 2002, a rare version of the mini Hess tanker ship sold in stations that year, but created with a chromed body, again exclusively for the family of John Hess. It’s one of only 24 known to exist. All three of these special Hess trucks have starting bids of $1,495. The SeriousToyz auction is loaded with 733 lots of toys and other items. Visit www.serioustoyz.com.